Nilekani said had he passed the exam, he would have been a manager of a soap or any other company. Nandan Nilekani said that the IIT years were a defining period for him. 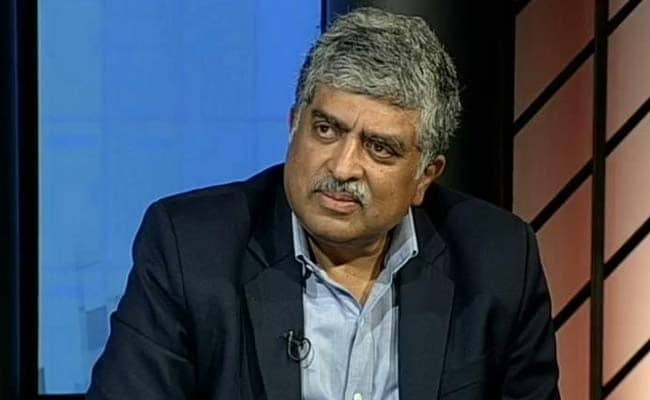 Bengaluru: Infosys Co-Founder Nandan Nilekani considers himself lucky to have missed out on his IIM entrance exam, as he would not have been associated with Narayana Murthy, who built Infosys along with four other founders. "I was very fortunate to have missed my IIM entrance exam.. I was looking for a job and walked into a small company where Narayana Murthy gave me one.. We shared a great relationship thereafter, and then, of course, Infosys began and the rest is public history," he told at an event organised by CII here on Tuesday. Nilekani said had he passed the exam, he would have been manager of a soap or any other company. "I don't think I could have got into Infosys after they had introduced the entrance exam.. Luckily, I got into Infosys before it was introduced," he said in a lighter vein. He further said the years spent at IIT were a defining period for him to become a leader. "I was an ordinary kid.. but big things happened when I moved to IIT.. When I learnt to adapt to a big city environment amongst big city learning mates, I became self-confident, and that was a very defining period for me to become a leader," he said.